Receipt is duplicated where botton copy stays in book for your records; 50 sets per book. Black and Red Ink pre-printed for a attractive design. 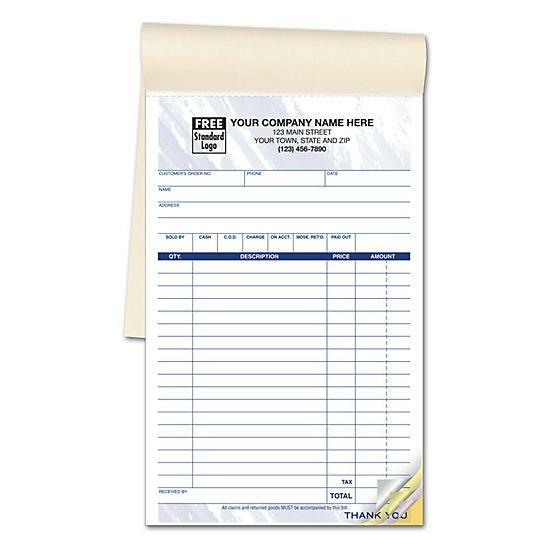 Use this sales receipt to record your cash sales! It’s a small business form offering you space to record sales, credits, special orders, returns and more. 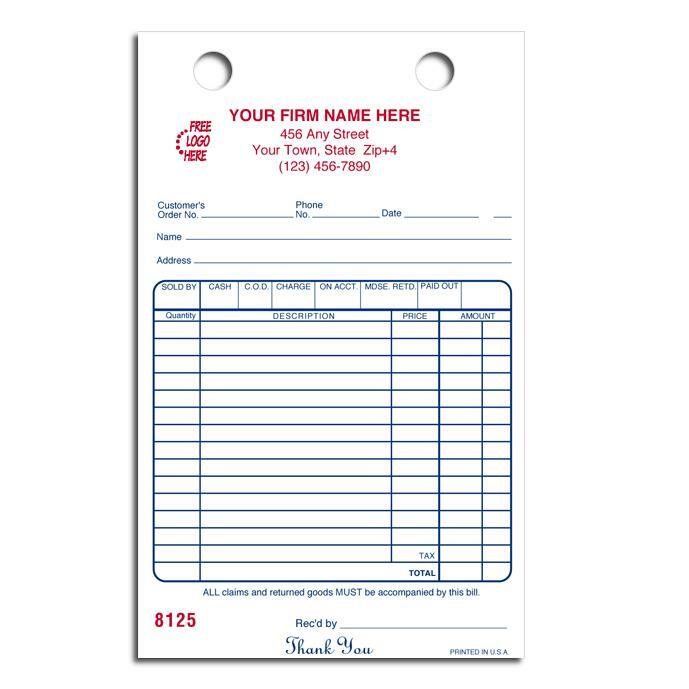 Receipt printing cheap, fast and shipped to your local business in any state. 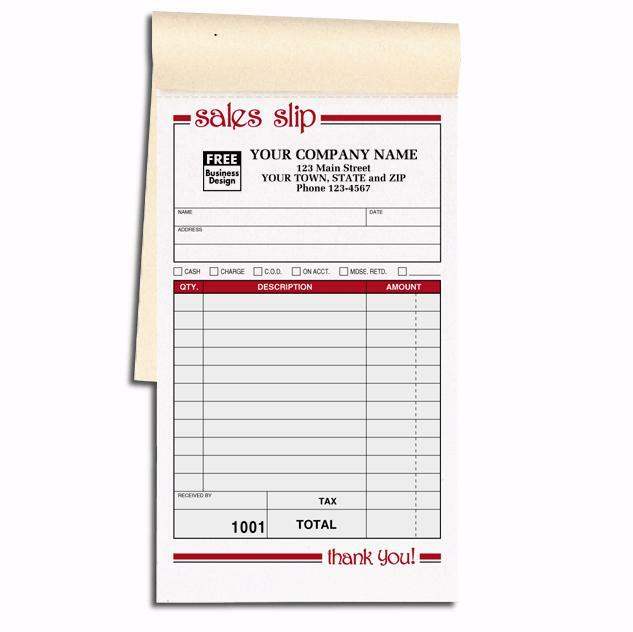 This is a sales receipt that you can regularly use in your business everytime you make a sale. It is printed and personalized with your logo and business information to add that professional touch. You customer gets the white copy and you keep the yellow or pink copy or your accounting records. 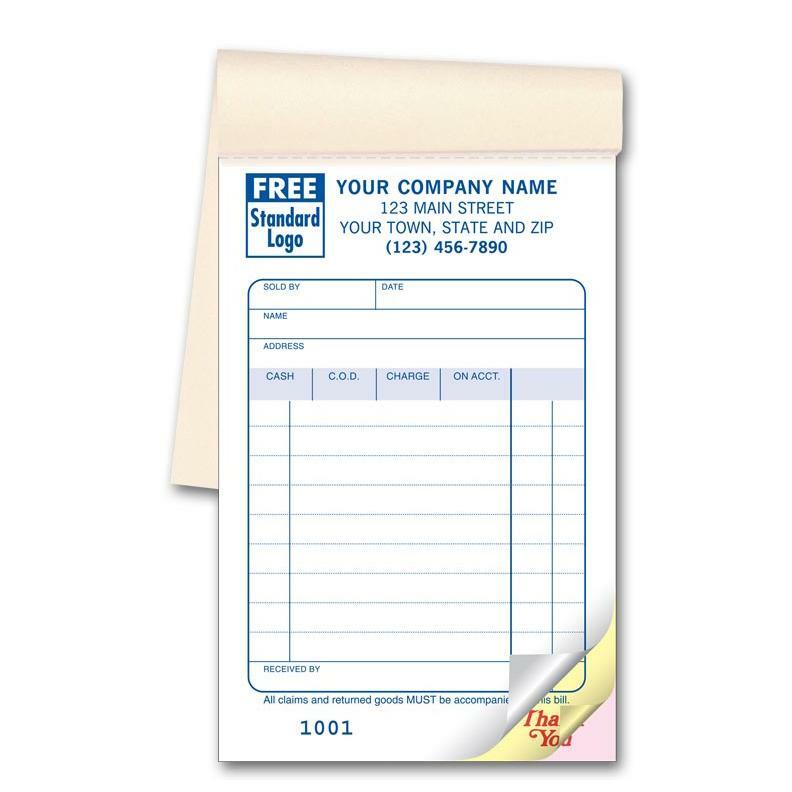 It is printed on carbonless forms and bounded in a book format to help you stay organized. DesignsnPrint.com is yoru premier online printing company with cheap prices and fast turn around times. Call us today at 1-800-492-1218 or place your order online. We can send you a proof for your approval before it is printed.